We are taking a short break from editing, which gives me a few extra free moments to share some photos with you! Cast and Crew try out their hand at cursive on the blackboard. 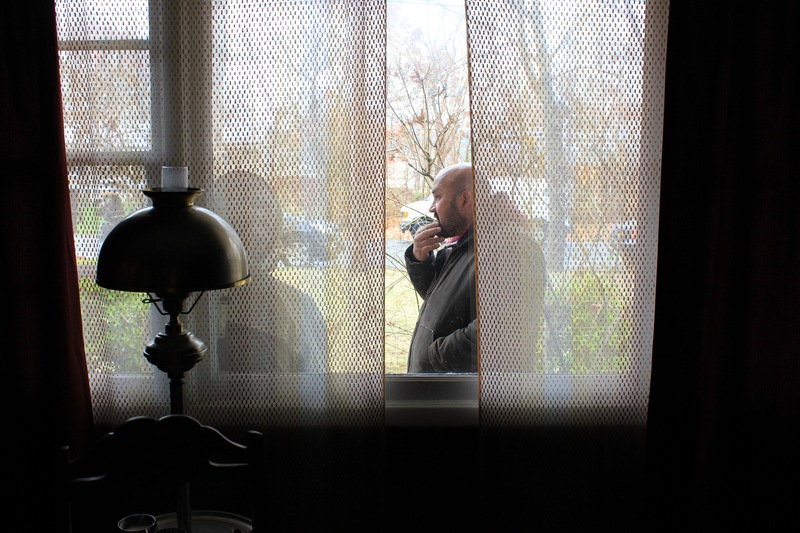 From left to right: Andre Gulik (Extra) Liene Dobraja (wardrobe designer) Sondra James (Ms. Ambrose) Greg Horoupian (producer) Guy Kozak (production designer) and Yessica Curiel-Montoya (swing). 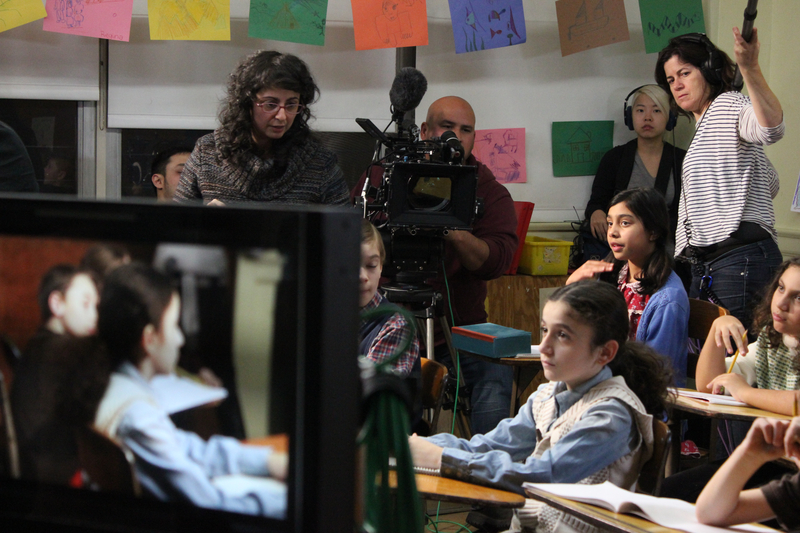 From left to right: Lila Yomtoob (Director/Producer), Adrian Correia (Director of Photography), Kathy Lee (Location Sound Mixer), Solya Spiegel (Regina), Anne Pope (boom operator) and our classroom extras prepare for a classroom scene. Jordan Gatti (grip), Yessica Curiel-Montoya (swing) and Chris Ungco (1st AC) make an eye patch for one of our crew members who got some dust in his eye. This crew could do anything. 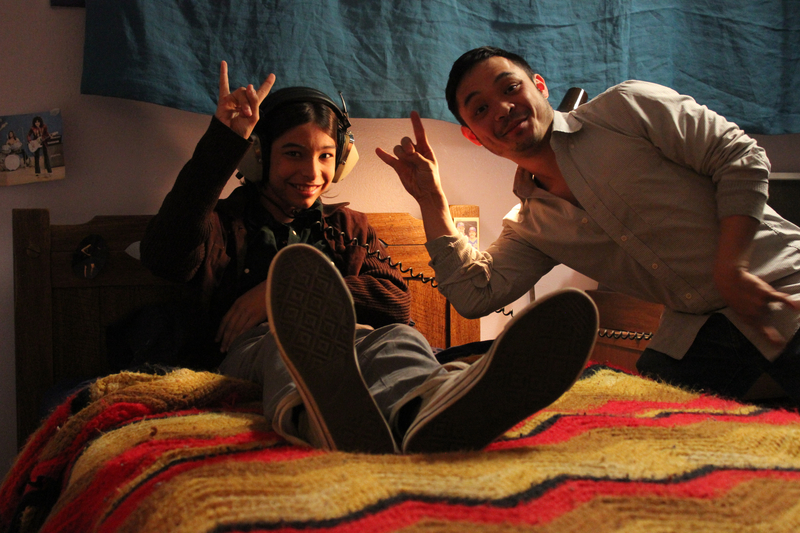 Nico Pollack (Bobby) and Chris Ungco (1st AC) rock out in Bobby’s groovy bedroom. 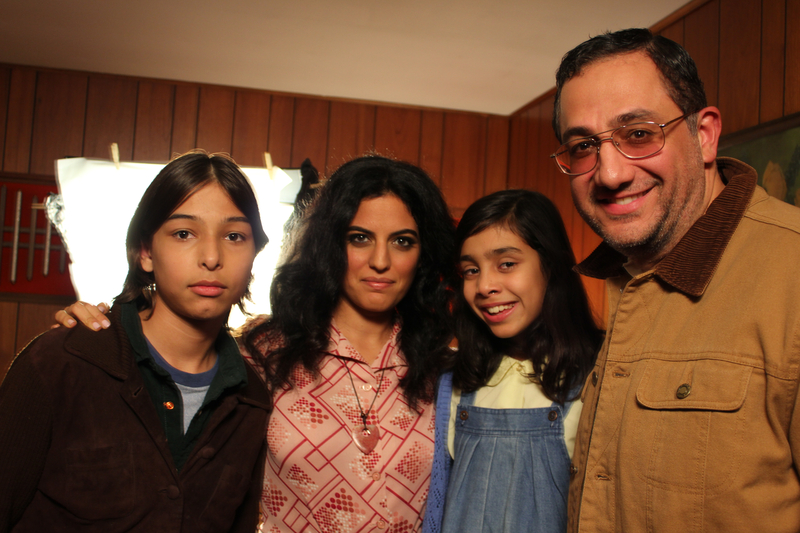 From left to right: Nico Pollak (Bobby), Soraya Broukim (Roya), Solya Spiegel (Regina) and Ali Farahnakian (Bijan) posing for a family portrait. 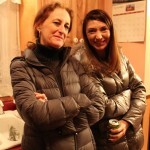 Julie Spiegel and Adriana Najera, the moms of our child stars. 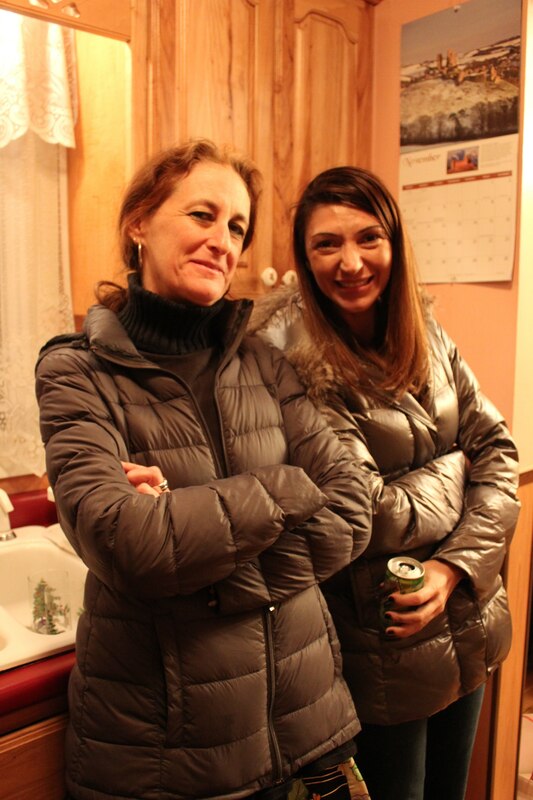 Big shout out for the moms for encouraging their kids to explore their creativity and be in the film. 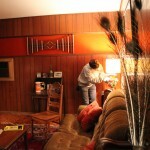 Roya (played by Soraya Broukhim, reaches out during rehearsal of the family meeting scene. Also in this photo: (from L to R) Anne Pope (boom operator) Zach Meyer (2snd Assistant Camera/DIT) Jordan Gatti (grip), Soraya Broukim (Roya) Nico Pollak (Bobby) and Solya Spiegel (Regina). 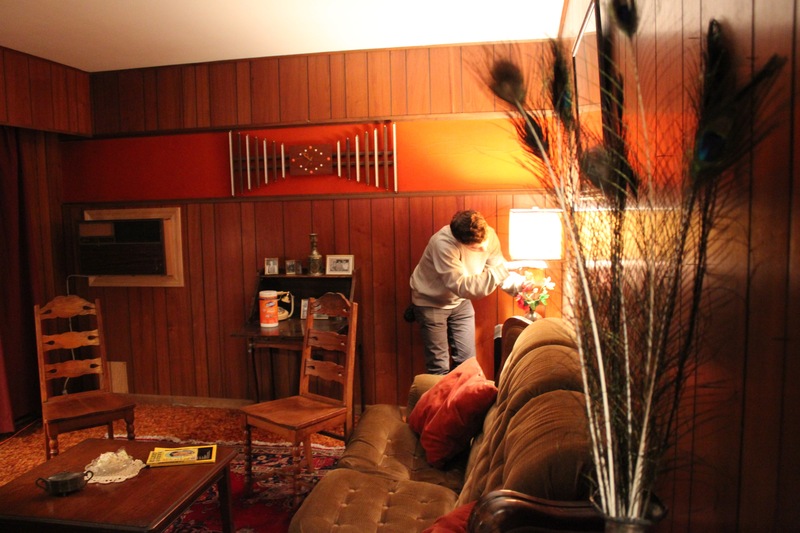 Production Designer Guy Kozak puts finishing touched on the family living room. 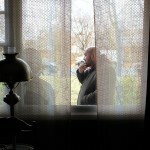 Director of Photography Adrian Correia surveys the next shot.